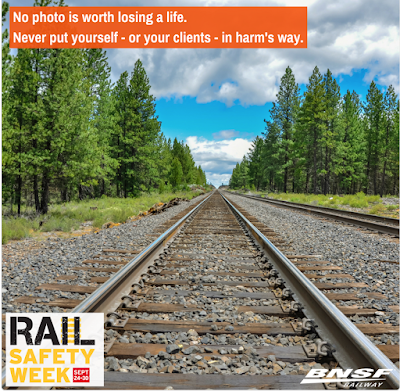 It Is National Rail Safety Week! There are way too many people putting themselves in harm's way to get artsy photos these days. Don't. You can't believe how quiet today's trains are. Regardless, if you are focusing on something else, you may not hear the train's horn. If you were on/near the track and focusing on something else, would you hear these trains? 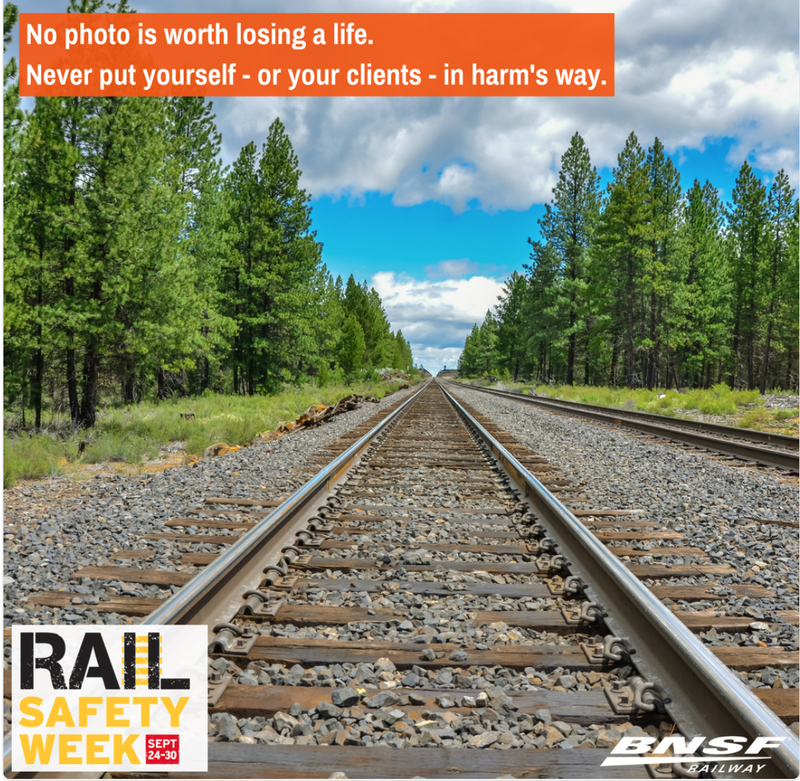 There is a photo is so tragic that I can't bring myself to post it, but Union Pacific has the last selfie and the story of three teenage girls who were standing between two rail lines (e.g., such as between the two sets of track above) as one train passed by. Even though a second train from the other direction was frantically blowing its horn, the girls never heard the train coming from the other direction. All three perished. It can take a half-mile to stop a train! 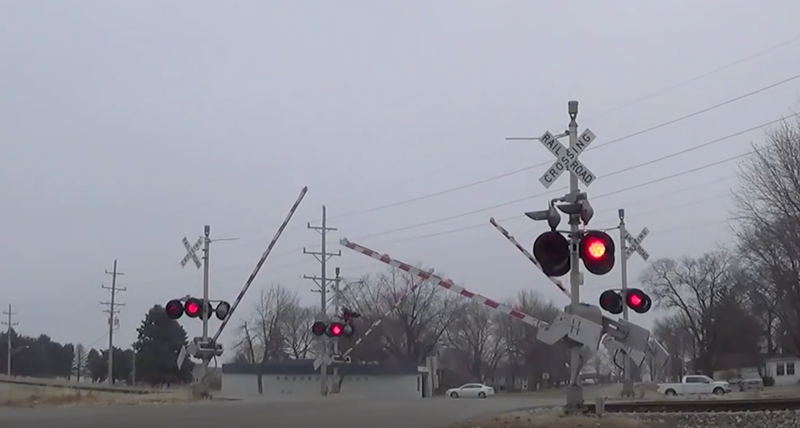 One other bit of rail safety: If the crossing is on, there is a moving train near! The sensors in the track know whether a train is moving or not. A stopped train does not activate a nearby crossing. If the crossing lights, etc., are on, you can be nearly certain a train is nearby. BTW: If you ever get caught between lowering gates, just keep moving. The gates are flexible and usually will not break off. Even if they do, that is far better than being struck! The above bit of safety information is crucial. To railfans, there is a famous 1991 video of a woman walking in front of a speeding train after passing walking around the gates with the lights and bells activated. We can assume that because there was a stopped train at the station, she mistakenly thought that was why the crossing was on. It wasn't. There was a speeding train on the middle track going 40 mph. She walks right into it with fatal results. If you wish to see the video, it is here.